Welcome to our new SCBWI TAS members, and thanks to our returning members for your support. 2018 has been a bumper year for SCBWI TAS. We held our first ever Professional Day in which attracted over 40 participants, and we also heard inspiring and informative talks by Claire Saxby (VIC) and Sheryl Gwyther (TAS). An extra special thanks to Marion Stoneman and our Launceston vollies, Warren Kinman and Aurore McLeod. Also to the Tassie writers and illustrators who participated in our Professional Day panels, Christina Booth, Tony Flowers, Alyssa Bermudez and Bronwyn Houston, Julie Hunt, Verity Croker, Terry Whitebeach, Carol Ann Martin, Emily Conolon and Nic Gill. Thanks too, to Susanne Gervay, Deb Abela and Marjorie Crosby-Fairall from the SCBWI East Australia and New Zealand leadership team, and to Arts Tasmania, for a $5,000 grant to bring publishers, Clare Hallifax and Maryann Ballantyne and agent, Alex Adsett to Tassie to speak at the Professional Day and to assess manuscripts. Thanks also to the wonderful board, staff and volunteers at the Tasmanian Writers Centre, for generously hosting manuscript assessments on Sunday 29 October. 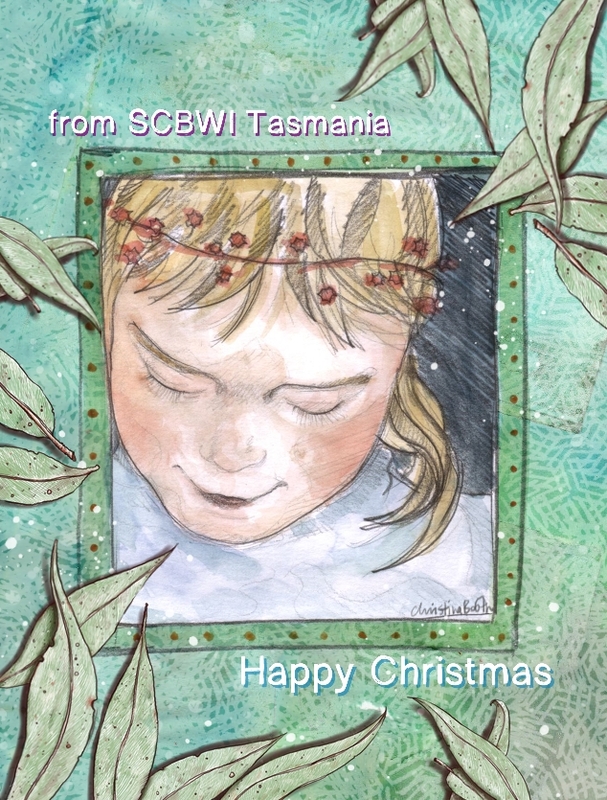 SCBWI TAS looks forward to working closely with the TAS Writers Centre in 2019. And another vote of thanks to our very talented Christina Booth, for magicking up this gorgeous Christmas flyer at short notice. May your muses sing like canaries, and a flock of publishing opportunities fly your way. If any established or developing SCBWI members are coming to Tassie from the big island in 2019 and wouldn’t mind sharing your publishing experiences with SCBWI TAS, we would love to hear from you. Please email Anne Morgan, morganataswa@gmail.com.